Dylan Hysen and Sam Quattro recap and review the final part of The Legend of Korra graphic novel “Turf Wars”. It’s a “From the Spirit World” reunion as we talk everything “Turf Wars Part Two”, the newest Legend of Korra comic! Dylan Hysen is joined by Sam Quattro, Ally Martin, and Brit Griffin. It’s a “From the Spirit World” reunion as we talk everything “Turf Wars Part One”, the first Legend of Korra comic! Dylan Hysen is joined by Mel Moyer, Sam Quattro, and Brit Griffin. Dylan Hysen and Justin Cummings cast and play out a hypothetical season of Survivor with Legend of Korra characters. This podcast does not require Survivor knowledge! 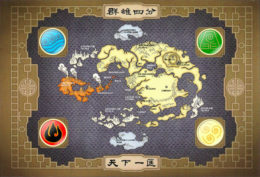 Dylan Hysen gives his ranking of the seven Avatar: The Last Airbender and The Legend of Korra season finales in the second of his driving-to-work series. 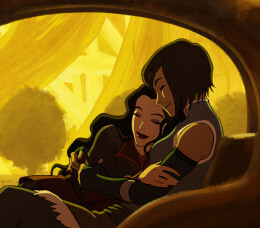 The FTSW crew looks back on The Legend of Korra a year since the series ended. 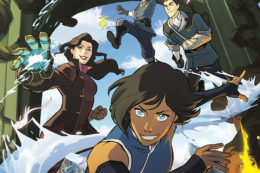 The Legend of Korra comics written by Mike DiMartino are coming! We go over all the details of the SDCC announcement as Dylan Hysen is joined by Sam Quattro and Delaney Stovall.